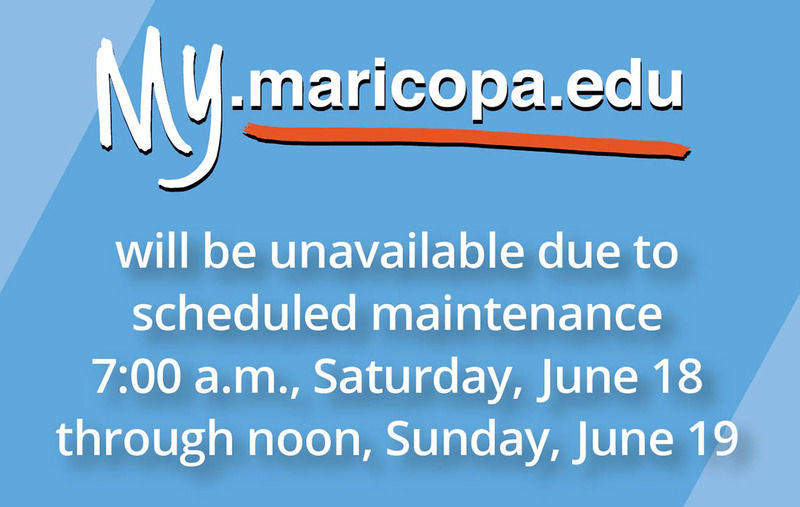 The My.Maricopa Student Center will be down for planned maintenance beginning Saturday, June 18 at 7 a.m. until Sunday, June 19 at noon. 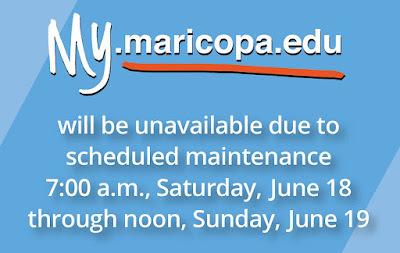 During this outage, your student email, Canvas and RioLearn portals will still be available. You will also have the option to search for classes, research programs and degrees or contact an advisor. Visit this web page for the latest updates. Labels: AdvisementNews, FA News, FANews, LifeAtRio, LiveAtRio, MCCCD, New Student Orientation, RioAdvisors, RioCommunity, RioEmployee, RioLearn, RioLocal, RioLounge, RioNews, RioStudents, RioStudents.